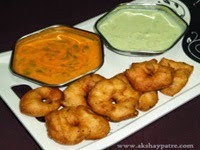 Collection of pakoda recipes - Pakodas or pakoras are usually served as a starter or teatime snacks. 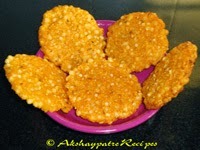 These are highly irresistible, addictive and you may feel like to eat more and more. Pakodas are deep fried snacks which are compulsorily prepared during special occasions, festivals, winter and rainy days. 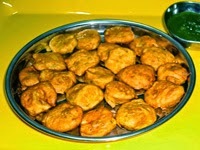 Indian pakodas are very popular in all region and it is regularly prepared in every house hold with their own version. 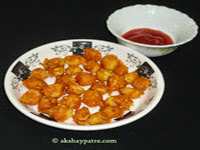 Baby corn pakoda - An absolutely perfect evening snack with a hot cup of tea or coffee. This delicious pakoda is made with baby corn. 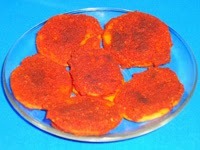 Refined flour and corn flour is used for coating which gives a crispy texture to the snack. 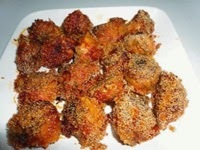 The other ingredients used in this recipe, adds an extra taste and flavour to the pakodas. 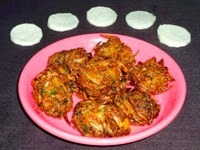 Onion pakoda - This is a guilt free snack which you can serve your family with hot coffee or tea. Keeping health point in mind, I have prepared shallow fried onion pakoda using the same pakoda mixture which I use to make deep fried onion pakoda. 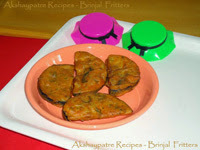 Baingan ka pakoda - This pakoda is prepared by using large sized purple brinjal. 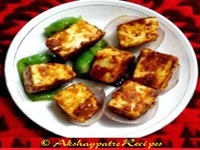 Gram flour along with some other ingredients are used to make a thick mixture to coat the brinjal slices. 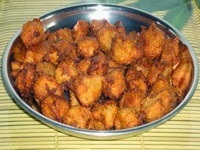 This pakoda is crispy from out side and soft from inside. Ripe banana pakoda - As the name suggests, this pakoda is a deep fried snack made with ripe banana and rice rava, popular in Coastal Karnataka. 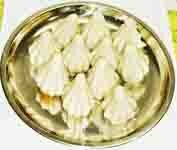 It is a delicious snack with slightly sweet taste. This pakoda is usually fried in ghee but it can also be fried in oil. 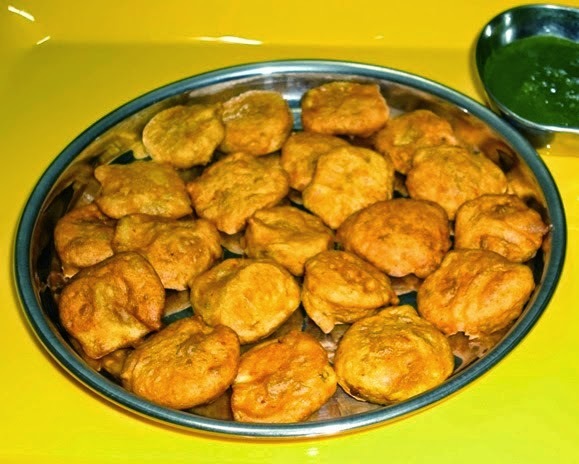 Raw banana pakoda - This pakoda is prepared with raw banana and coated with a mixture of gram flour and some other ingredients. It goes really well with hot tea or coffee. 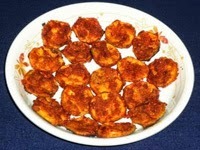 For a change, you can make banana pakoda instead of banana sabzi or chips.